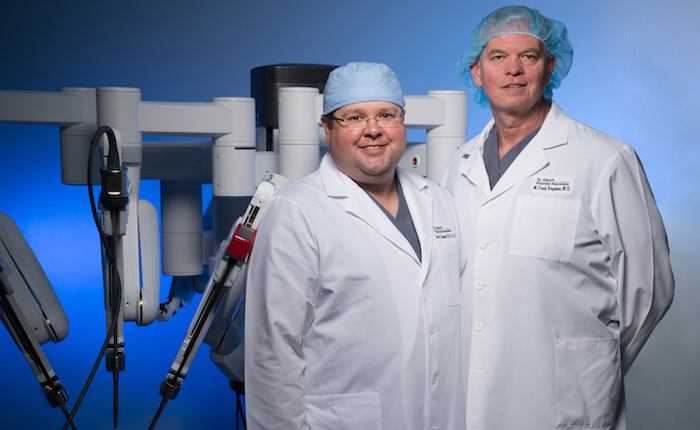 Robotically trained surgeons at St. Mary’s include David W. Shepherd, MD, and M. Craig Bozeman, MD. Surgeons at St. Mary's Regional Medical Center use the da Vinci® Surgical System. This advanced robotic platform enables doctors to perform complex procedures through smaller incisions than standard surgery using small tools that are operated robotically. Robotic surgery often results in less pain, scarring, trauma and blood loss than other surgical procedures, which can lead to a quicker recovery for the patient. Surgeons at St. Mary's perform a variety of robotic procedures ranging from gallbladder and hernia surgery to intestinal and colon surgery. The da Vinci Surgical System consists of a surgeon's console, a patient-side cart with four interactive robotic arms, a high-performance 3D, high-definition vision system and the system's EndoWrist® instruments. Using advanced robotic technology, the da Vinci System is designed to translate a surgeon's hand movements into precise movements of the EndoWrist instruments. 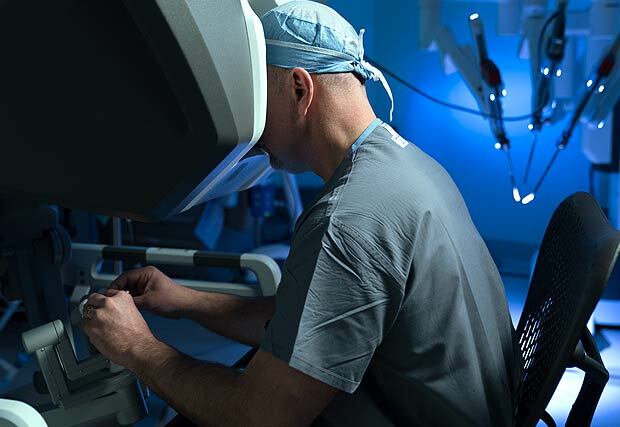 With the da Vinci Surgical System, surgeons operate from a comfortable seated position at a console, which translates hand movements into smaller, more precise movements of the tiny surgical instruments. The best candidates for robotic surgery are chosen on an individual basis by their doctor. Ask your doctor about robotic surgery and whether or not your diagnosis and situation will lend itself to robotic surgery.